If the Dems are right, the Russians meddled. If the Reps are right, the Russians meddled. Whoever is right wins the senate. If it’s the Dems, Trump is impeached and the Russian collusion story lives on. If it’s the Reps, the Dems are discredited and the Russian collusion story lives on. If Bernie the socialist had become the Dems candidate, would the Russian collusion narrative have been put forth by the Reps? Is this why they would have preferred Bernie over HRC? Either way, it is a minor point and a moot point. Russian-backed rebels are said to have shot down MH-17. Russians were implicated with Carter Page, which is why the FBI used him as an informant. Russians were accused of hacking into the DNC (later proved to be false) and passing information to Julian Assange who was accused of being a Russian agent. The lawyer Donald Trump Jr. met with (Natalia Vilenskaya) under false pretenses was Russian. It was a set-up. Who are all these Russians? All the Russians who are known or have been named are private citizens. Do any of them officially represent Russia? Are they spies? Are they even Russian? What’s the difference? Russia… Russia… Russia… and the band played on. Who wants to make Russia (an ally of Iran) the enemy? The neocons and their supporters do. There are neocons on both sides of the aisle. Obama was a neocon, as were the Bushs’. Who haven’t we heard from since the elections? The neocons and their supporters (they’ve let their media do their talking.) The media, it seems, have been talking about nothing but Russia. Victoria Nuland is now (since Jan. 19th, 2018) the CEO of CNAS. She engineered the coup in Ukraine and has, more than anyone, spoiled Ukraine/Russian relations. CNAS has advocated for Russian sanctions, and has played a very large part in middle-east policy, as well as policy towards China. Since its inception, CNAS has released 12 reports on topics including, U.S.-Russia Relations, Transatlantic security cooperation in the Asia-Pacific, and U.S. strategy in the Middle East. ‘Center for a New American Security’ kinda’ sounds like the neo-con plan named ‘Project for a New American Century’, doesn’t it? Security is not often referred to as ‘a security’. So the neo-cons want to take out seven countries ending with Iran. They also want to provoke Russia through sanctions and, with the help of NATO, build up military strength on its borders. But to what ends? Hunter Biden, Joe’s son, was made a director on Ukraine’s largest private gas company’s board (Burisma Holdings) as head of legal affairs. All of Russia’s gas exports to northern Europe used to go through pipelines crossing Ukraine. Since the coup, pipelines have been diverted to pass through Turkey, giving Turkey full control of both middle-east oil and Russian gas being piped (over land) into Europe. Turkey was denied entry into the EU, but remains a NATO member, although that may soon change. This makes Europe vulnerable to Asia, and would help push their alliance towards the east. Although this hurts Ukraine economically, more importantly, it puts US gas producers at a disadvantage in Europe. If Russia could be goaded into a war with Ukraine (a US proxy,) the US could stave off the threat posed by China and Russia (and Iran) in forming a multi-polar world by increasing its European energy exports and setting up a new petro-dollar with Europe, except this time, Europe would be forced to buy US energy with US dollars. 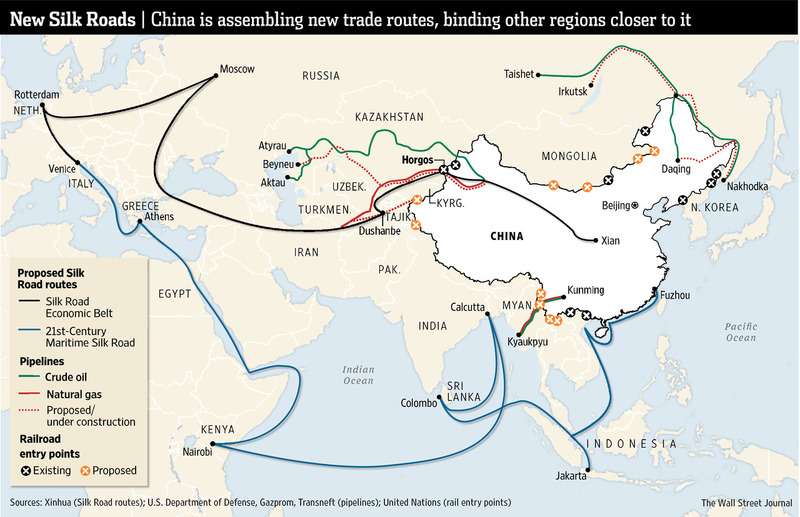 Europe would then be dependant on the US instead of Turkey, and China’s One-Belt-One-Road plan would be damaged beyond repair. Russia would be decimated on all fronts. Didn’t this all start with Syria? The timing seems right. And just recently, the top officials from Russia’s intelligence services just showed up in D.C., after which Israel started attacking Syria (officially,) Turkey had a scuffle with American-led Kurds, and Russia lost two soldiers in a firefight with American-led rebel forces in Syria. While the Russian-collusion narrative and the FISA memo might be the biggest stories in recent American history, that which is hidden below, as is usually the case, seems to be far more meaningful to American interests. It could all be a ploy, no matter who won the election, to continue US hegemonic expansion and the new cold war well into this new American century. Trump may have even messed up the plans to frame HRC as the Russian colluder, as all the evidence is against her. If it were President Clinton in office, Russian collusion would have been easy to prove. Instead, we have the grotesque and acrimonious spectacle now under way.